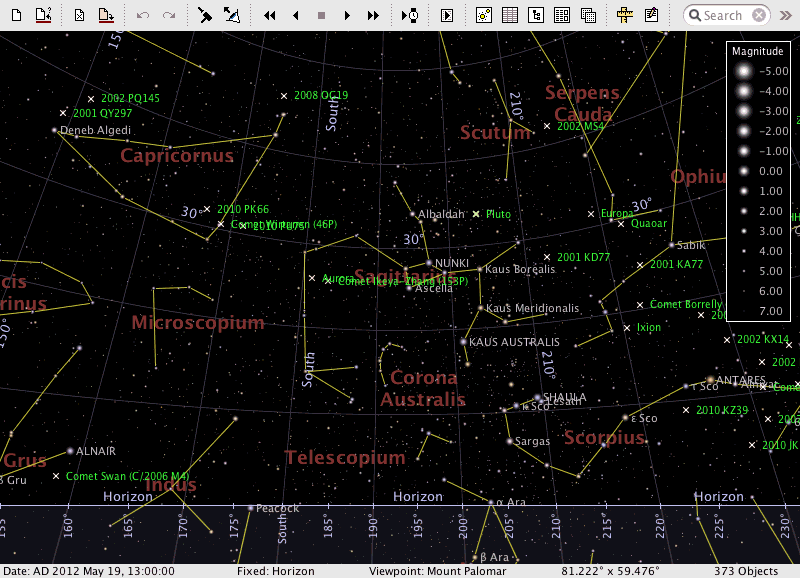 AstroGrav for Windows and Mac is a full-featured, high precision solar system simulator that calculates the gravitational interactions between all astronomical bodies, so that the motions of asteroids and comets are simulated much more accurately than with planetarium applications. The effects of general relativity and radiation pressure can be taken into account, and superb interactive 3D viewing allows you to easily rotate and zoom your view while the solar system evolves. To find a range of illustrative movies, click on the movies item in the menu bar on the left. 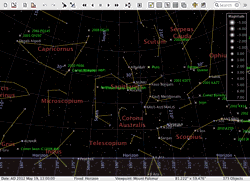 The astronomical software comes complete with a tutorial and full documentation, and you can download a fully functional 15 day trial version for evaluation.